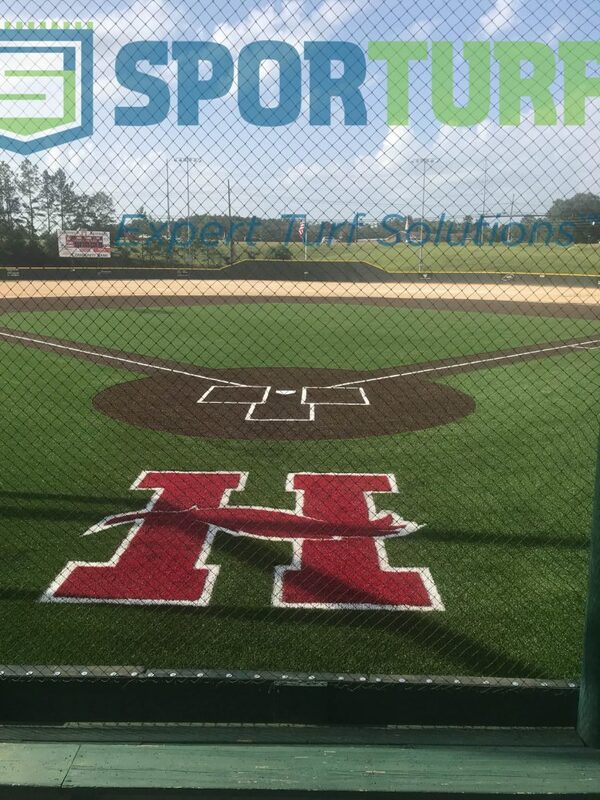 Recently Sporturf dealer KMI Sports Construction installed a baseball field for the Western Hills Little League. 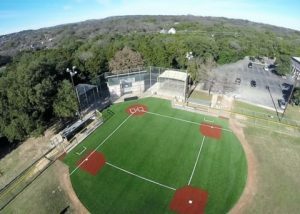 Western Hills Little League serves the Westlake and Central Austin area. WHLL supports the physical facilities, volunteer services, and resource programs for children, families, and communities to enjoy the sport of baseball in a way that is engaging, exciting and fun. WHLL has eight fields at all of their complexes and for the Joseph Field they chose Sporturf’s Fielder’s Choice 50z. KMI installed over 10,000 sq. ft. in the colors of Field Green and Terra Cotta. Sporturf Fielder’s Choice provides excellent ball roll, ball bounce, wear resistance and slide comfort. This system is specifically designed for baseball. Rest assured the system will perform to the highest expectations. 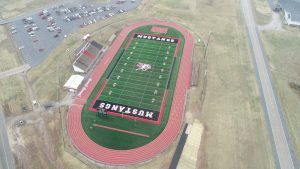 Recently McDonald County High School worked with Sporturf dealer Craig Shonk of Midwest Synthetic Turf Professionals to install a brand new custom football field for their athletes. Bo Bergen, graduate of MCHS and the school’s Athletic Director, lead the charge for updates to the athletic department, including their new synthetic turf field. 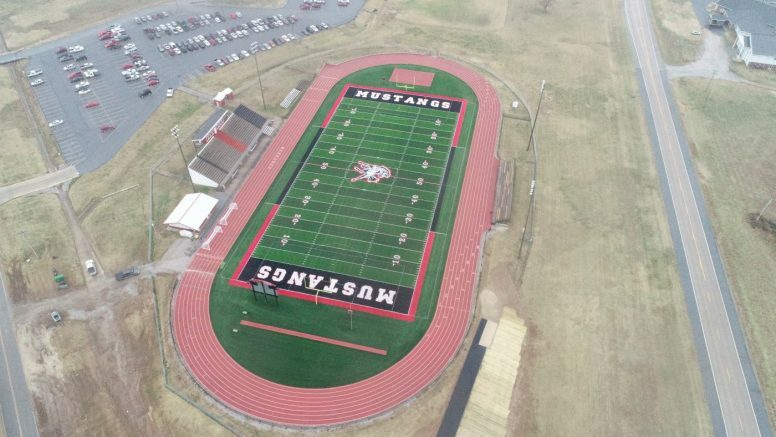 MCHS wanted to provide their student athletes with a top of the line surface that would not only be incredibly safe to play on but also incredibly eye catching. 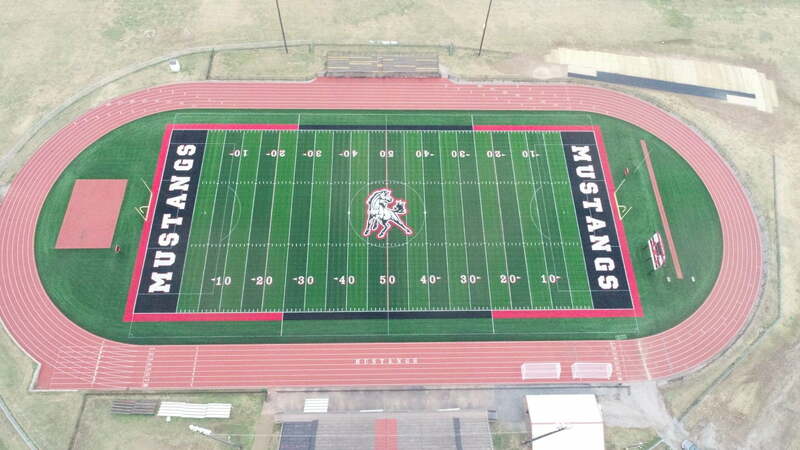 The Mustangs chose Sporturf™ PowerHouse for its increased durability thanks to the 13,000 denier design. Power House is one of our most advanced system designs that provides high resilience and increased comfort and safety. The series is made up of some of the most proven and durable fibers in the world. Power House truly is a workhorse and will withstand the rigors of wear and tear for many years. 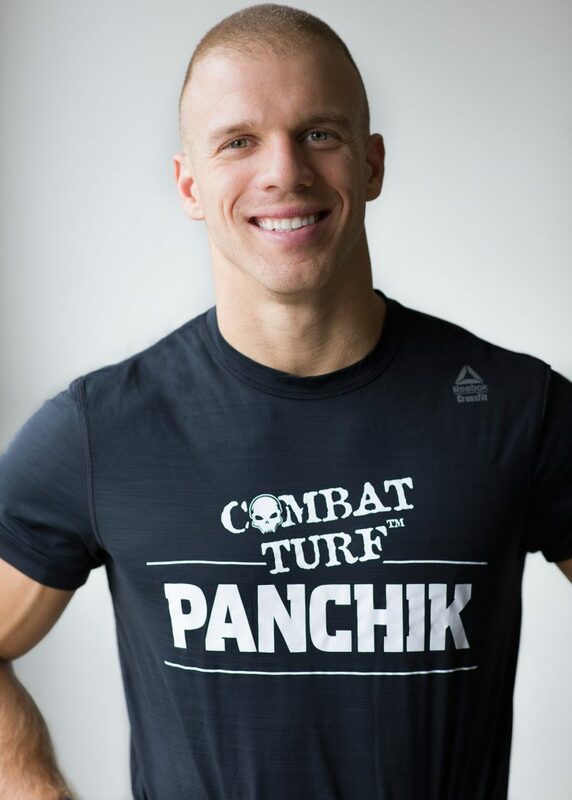 Sporturf™ is proud to announce its newest partnership with seven-time individual CrossFit Games veteran Scott Panchik. Scott has qualified for every CrossFit Games since 2012 finishing 11th or better each year. Panchik took back-to-back fourth-place finishes in 2012 and 2013 as his highest rankings. 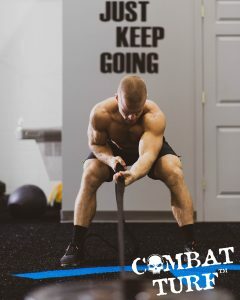 When you walk into CrossFit Mentality, it is impossible to miss the prominent black and blue Combat Turf™ with the CrossFit Mentality logo prefabricated into it. 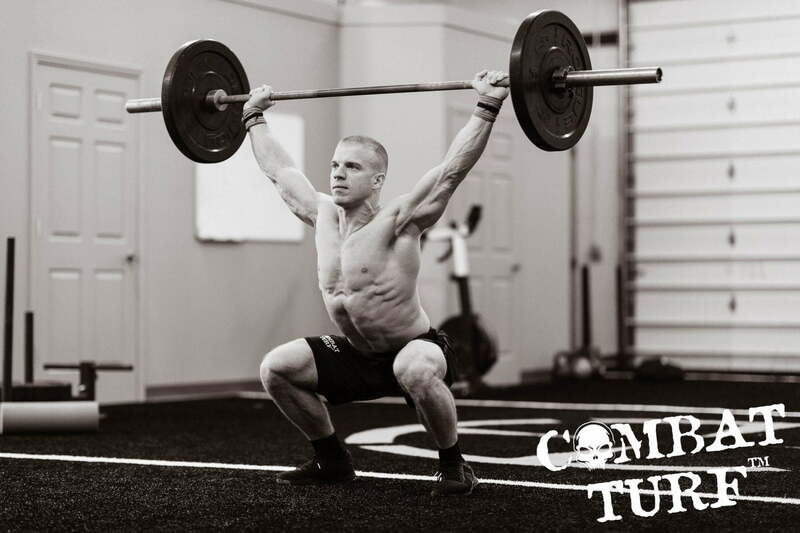 Enhance your facility with Combat Turf™, the turf of CrossFit athlete Scott Panchik. No more mess, crumb rubber or sand littering your facility or damaging your training equipment. The blend of nylon and polyethylene is an almost perfect 50/50 combination which provides both durability and skin friendliness. 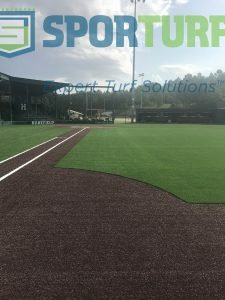 Headquartered in Dalton, Georgia, Controlled Products (www.cpturf.com) produces the highest quality synthetic turf in the industry for every possible application. Sustainability, innovation, research, the ability to customize deliverables and the use of advanced, state-of-the art technology are key priorities for the organization. Established in 1989, Controlled Products is an ISO 9001, ISO 14001 and OHSAS 18001 company. As a founding member of the Synthetic Turf Council (STC), and a STC Certified Manufacturer/Supplier, their expertise is unmatched in the industry. 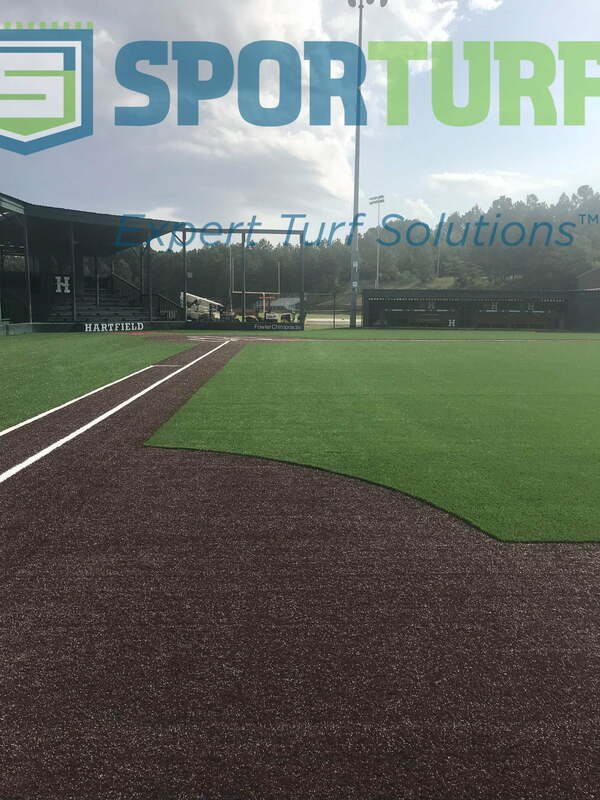 Their synthetic turf products are currently in use in thousands of athletic fields, playgrounds, landscape projects, golf courses and indoor sport facilities throughout the world. Sporturf™ is leading the way in the synthetic turf industry with Game Ready, an entirely new product line up that allows owners, coaches and players to focus on the training, speed of the game and safety, all the things that matter. Game Ready is a no-nonsense product that was developed with all the performance characteristics players, coaches and owners demand. Game Ready is designed to provide facilities a premium and hassle free solution. The product installs in days and has no infill requirements making the product sand and rubber free. 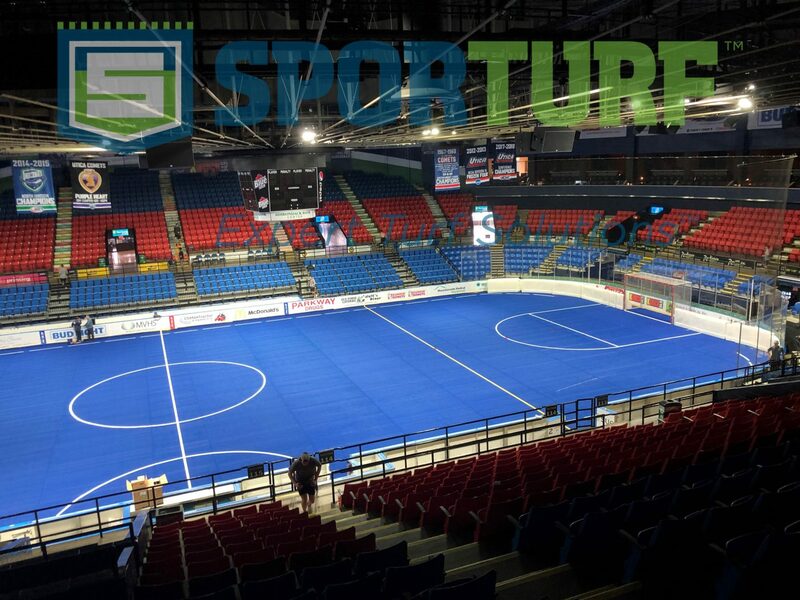 Sporturf™ and Sporturf International are pleased to announce our newest partnership with the Major Arena Soccer League becoming the official turf provider of the MASL. “We are thrilled to provide the MASL with most advanced indoor artificial turf system available. The indoor product FastGrass™ allows athletes to showcase their skills without worrying about the surface they are playing on” said Kevin Barker Vice President of Sales and Marketing. 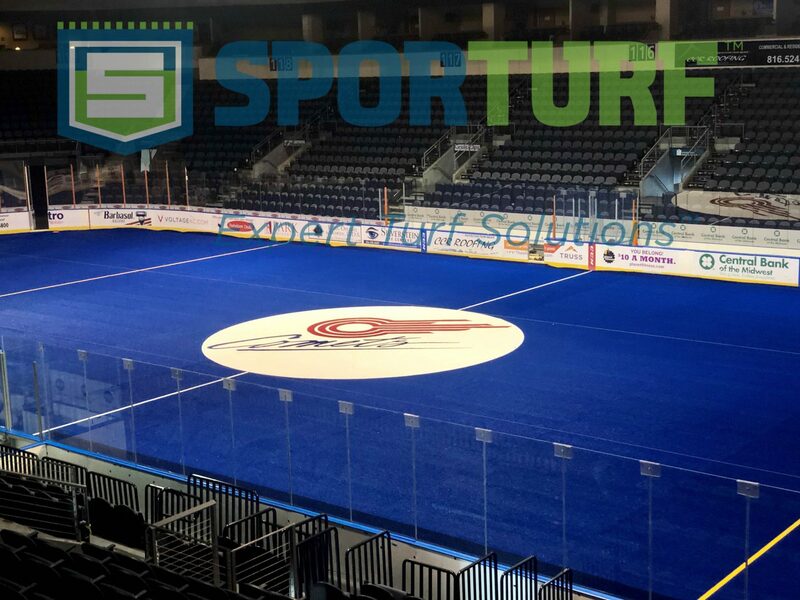 The MASL wanted a quality product and brand that they knew would be durable and high quality, which is why they chose Sporturf™ and Sporturf International as their official provider. In fact, the MASL includes many fields that already have Sporturf™ FastGrass™ product on it, Including Milwaukee Wave, San Diego Sockers, Ontario Fury, Mississauga MetroStars, Upcoming: Kansas City Comets, and Dallas Sidekicks. The 2017-2018 MASL season marks the second for Joshua Schaub as Commissioner. Prior to his arrival to the MASL, Mr. Schaub was a minor league baseball team owner/CEO, a co-founder of Da Beauty League, an adjunct law school professor (sports law), and an Associate Scout for the Milwaukee Brewers. The Major Arena Soccer League represents the highest level of professional arena soccer in the world. The MASL features teams across North America, with teams playing coast-to-coast in the United States, Canada and Mexico. The MASL is currently incorporated as a 501(c)6 not for profit corporation formed to promote the business and sport of arena soccer. It is important for athletes to remember that varying up your workout routine is key to staying motivated and continuously improving, but how do you keep it interesting when your environment limits you? You’re training on the same old surface, in poor weather and the results just aren’t there. We all know an hour of the same monotonous reps over and over again is not something many people would run and jump out of bed for. Workouts need to be new, challenging and most of all fun! If they aren’t, Netflix and potato chips will always sound like a better alternative. Performing agility training on synthetic turf will allow you to train in exciting and challenging new ways, making workouts something you look forward to and something that is going to provide results. With Sporturf™ supplying both indoor and outdoor synthetic turf, weather is no longer an obstacle for your fitness development. Not only does indoor synthetic turf provide more opportunities for variety, it provides better support and is visually appealing compared to your typical concrete or rubber gym floor. Sporturf’s solid product design and available color options, make our products a must have item in gyms and CrossFit. In the sports world we know the appropriate playing surface can make all the difference in an athlete’s performance and career. Which is why Sporturf™ is here with turf for every application. 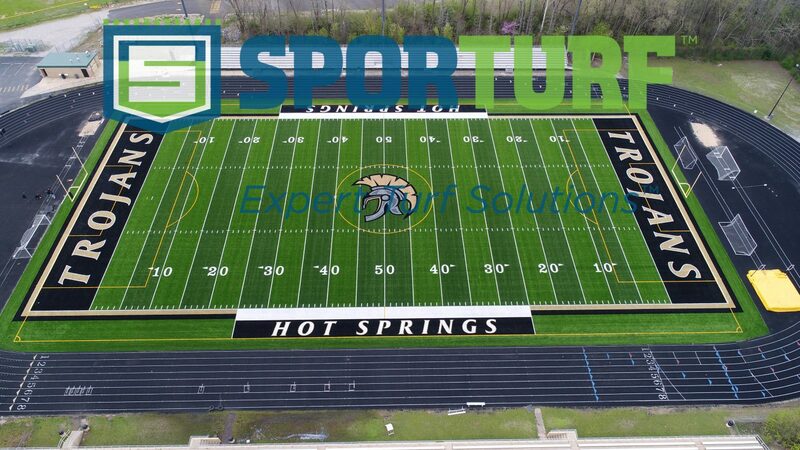 The Sporturf™ team of highly qualified sales managers strategically placed across the United States will help you select the perfect synthetic turf for you next project. We know that our turf is the most durable and highest performing product on the market. We will deliver your project on time, on required spec and within budget. 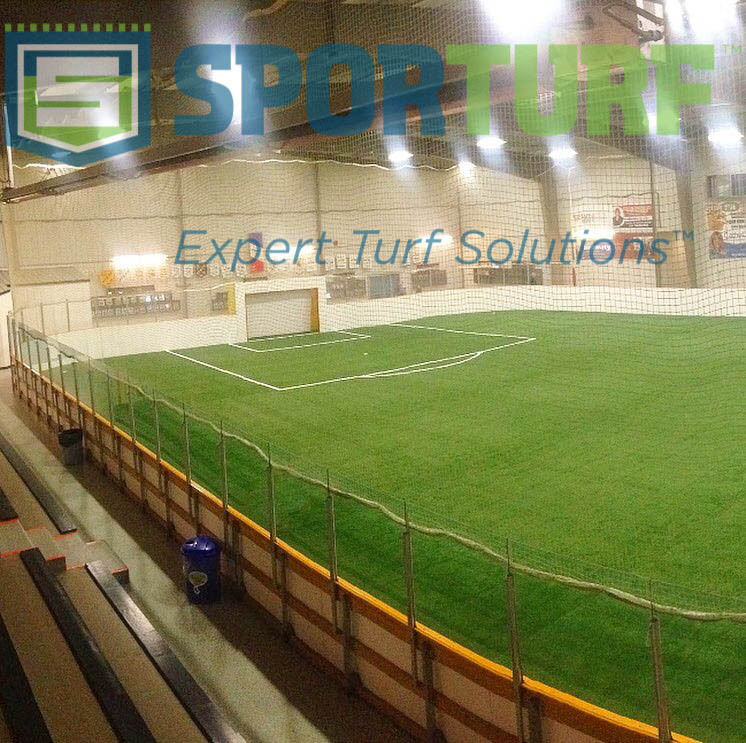 Recently Sporturf™ dealer Worldwide Turf Canada installed their very first project in Manitoba. Steve Halbert and his team installed the project at the Gateway Recreation Centre in Winnipeg, MB. The center consists of two year-round indoor skating rinks, two outdoor hockey rinks, one indoor soccer pitch, four mini soccer fields, three regulation soccer fields, seven ball diamonds, and two outdoor asphalt hockey pens. The Gateway Centre is a true one-stop-shop for the ultimate sports fanatic. 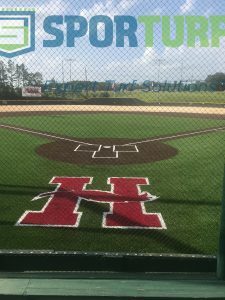 When they decided to update their facility with synthetic turf, they knew that the only company for the job was Sporturf and Worldwide Turf Canada. Gateway chose Sporturf™ FastGrass AT740 and installed 14,400 square feet of the padded/non-infill turf. AT740 has all the advantages of previous turf generations and performs even higher in wear and resistance tests. The blend of nylon and polyethylene is an almost perfect 50/50 combination. This gives you the true ball roll of a traditional field, with the softness of the new generation rubber-filled turf. The fact that there is no rubber infill makes maintenance easier and cleaner. These systems can also be portable with added Velcro seams. Worldwide Turf Canada is a Canadian privately owned company, providing customers with complete end to-end service for all their synthetic turf needs. Key values of Worldwide Turf Canada are Quality, Service, and Expertise. These values enable us to deliver best in class quality products at very competitive prices, expertise to build and install, and the highest level of service to ensure ongoing maintenance and customer satisfaction. Worldwide Turf Canada is a member of the Synthetic Turf Council. Leveraging the expertise of our team WorldWide Turf Inc. collectively brings over 30 years of experience in the design, build and installation of athletic artificial sports fields across North America. To ensure delivery of your project on time, our resources include a complete construction crew in Canada, and a complete installation crew employed by WorldWide Turf Inc.
Hartfield needed a baseball field that was a strong as their values, a field that they could rely on, which is why they chose EnviroTurf and Sporturf™. Jim Bateman of EnviroTurf has been in the synthetic turf business for the last 18 years. Jim has used his experience as a financial advisor to add a unique fund-raising dimension to his company by helping schools and municipalities pursue grants, private-sector donations, and other joint-venture opportunities to assist their projects. These projects have ranged from multimillion-dollar complexes to weight-room floors, but all are guided by an unwavering commitment to excellence. Sporturf™ has products that span all levels of baseball from pro to the local little league field. We can provide custom logo work using our waterjet along with hitting mats and halos. The quality turf we manufacture utilizes the latest technology and safety features. Features like ball bounce, speed of the ball roll and even light reflection are all advancements that are addressed in our product designs. Sporturf™ is an industry leading synthetic turf company. Our in house, state-of-the-art laboratory provides us the ability to develop products that exceed the requirements of all the individual sport’s governing bodies around the world. With that comes the knowledge and capability to have one of the best backing systems on the market today, in the form of ArmorLoc™ 3L. ArmorLoc™ 3L utilizes a complete knitted system as the foundation to deliver the world’s strongest artificial turf system. Extremely high tear strength. This strength provides the necessary proprieties that reduce the incidence of a rip or a tear in the product. This is due to the knitted layers all working together like the tight weave of a basket or a carpet. During the manufacturing process we poke thousands of holes in the product. The ArmorLoc™ 3L is designed to self-heal and fill with Silverback™ once the needle is extracted. Compressing around the yarn. Other products leave open gaps because the general construction does not self-close. This reduces the overall strength of their products and reduces tuft bind properties. ArmorLoc™ 3L is moisture and rot resistant. Competitors’ products that utilize an absorbent material like embedded fleece tend to absorb moisture and retain odors. Other products that retain moisture present perfect conditions to rot over time. This improved stability addresses extreme temperature variations over the life of the product. Temperature variations make competitor’s products move excessively and is a major cause for callbacks and failures. The way ArmorLoc™ 3L is manufactured directly enhances this performance. Improves the installation process and lends to straighter cuts and lines even for sport applications. Competitors take two or three backings and physically stitch them together when they tuft the product. This aftermarket fabrication method lessens the overall quality of the product. When competitors do this they are trying to save money by stitching together two lesser backings with the hope of creating a stronger backing. We are continuing to grow rapidly! We just added Broc Johnson as our newest team member. Broc is based out of Washington and attended Arizona State University and graduated with a degree in Communication. 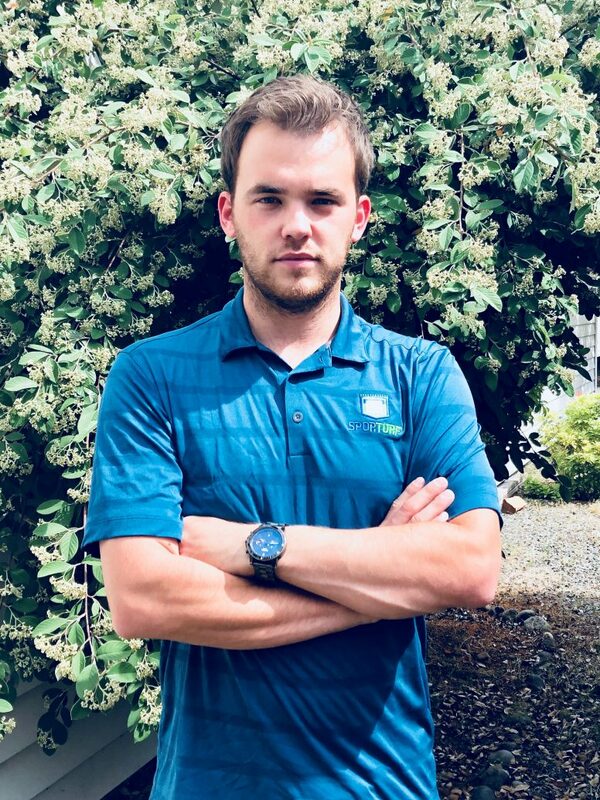 After graduation, Broc worked at a local golf course for about a year before he moved back to Washington to accept a job with Shaw Industries in the Northwest as Territory Manager. In this position Broc covered the Northwest area of the US. Welcome to the team Broc! Sometimes we get a chance to get a little bit more information about an install and the motivation behind it. 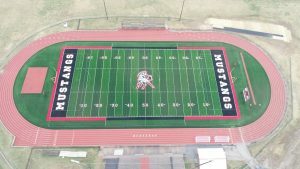 We spoke with our dealer Craig Shonk of Midwest Synthetic Turf Professionals about his recent install in Hot Springs to learn more about the project and get some feedback from the customers. Why did the turf need to be replaced?-The former field was seven years old and falling apart. We at Sporturf strive to provide quality service with quality products to each one of our customers, no matter the size of the project. With that in mind, please consider Sporturf for your synthetic turf sports needs.